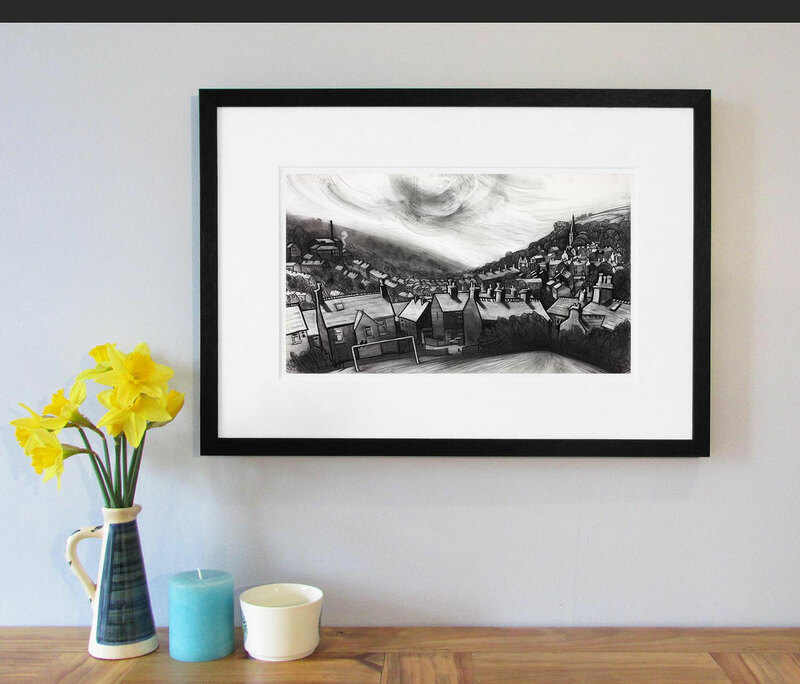 Charcoal landscape of New Mills, Derbyshire. 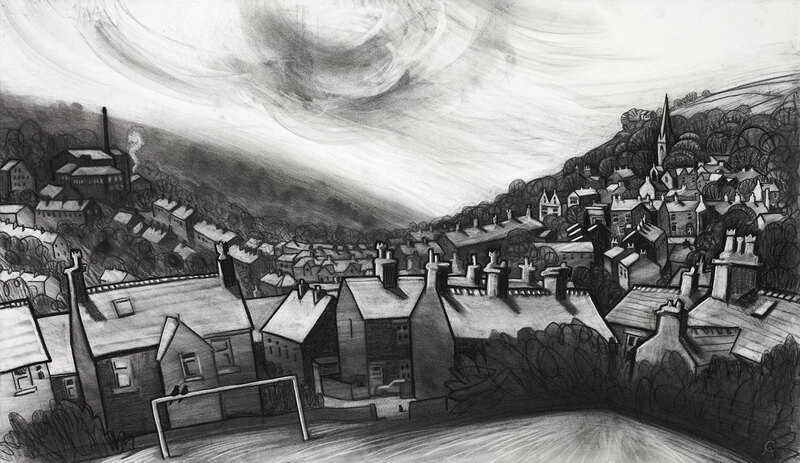 The recreation ground on Marsh Lane and looks towards the chimney of Swizzels Matlow on the left side of the valley, and the Spire of St Mary’s Catholic Church on the right. This was drawn as a commission.